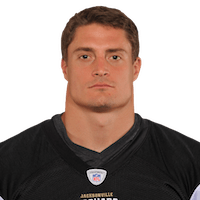 Published: Dec. 20, 2015 at 03:11 p.m.
Jaguars Paul Posluszny picks off tipped pass from Matt Ryan. Published: Nov. 15, 2015 at 02:56 p.m.
Jacksonville Jaguars cornerback Davon House intercepts Baltimore Ravens quarterback Joe Flacco. Published: Sept. 13, 2015 at 02:09 p.m. Published: Oct. 19, 2014 at 03:08 p.m.
Cleveland Browns quarterback Brian Hoyer fumbles and the ball is recovered by Jacksonville Jaguars linebacker Paul Posluszny.